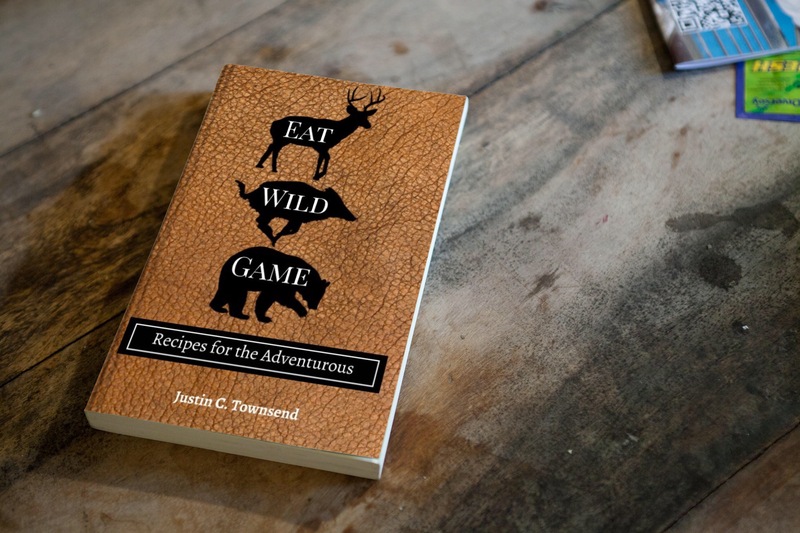 Recipe and Review contributed by Editor in Chief J. Townsend. St Patrick’s Day is just around the corner which means that it is time for everyone to break out their favorite Irish inspired dish. I figured I would toss my hat in that ring and give you all a wilder, more Irish version of a sandwich that we have all grown to love. 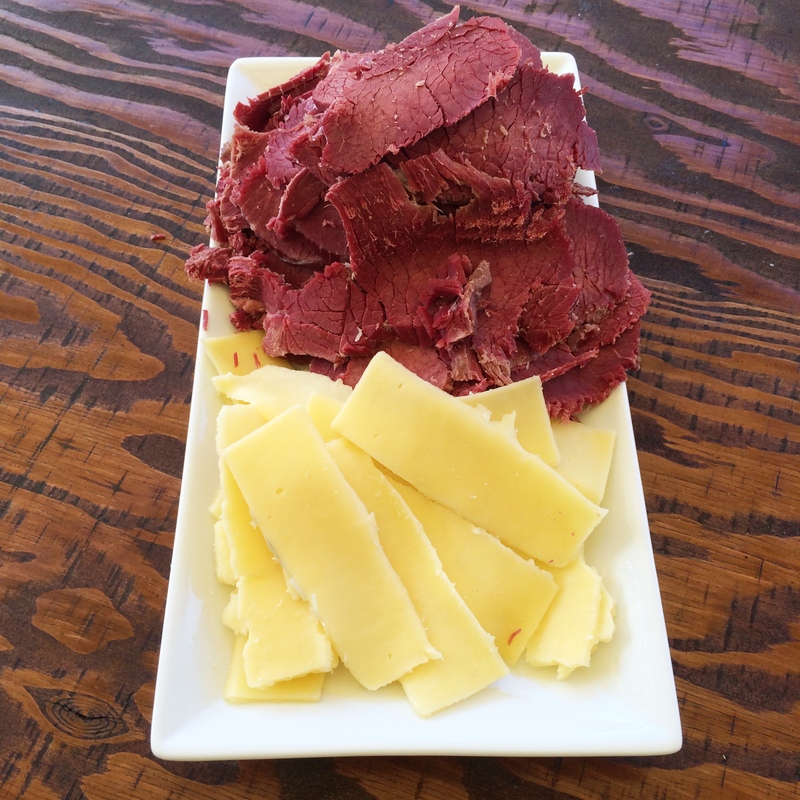 I have taken the classic concept of the Reuben sandwich and replaced the corned beef with some delicious corned venison which I corned at home over the course four days. 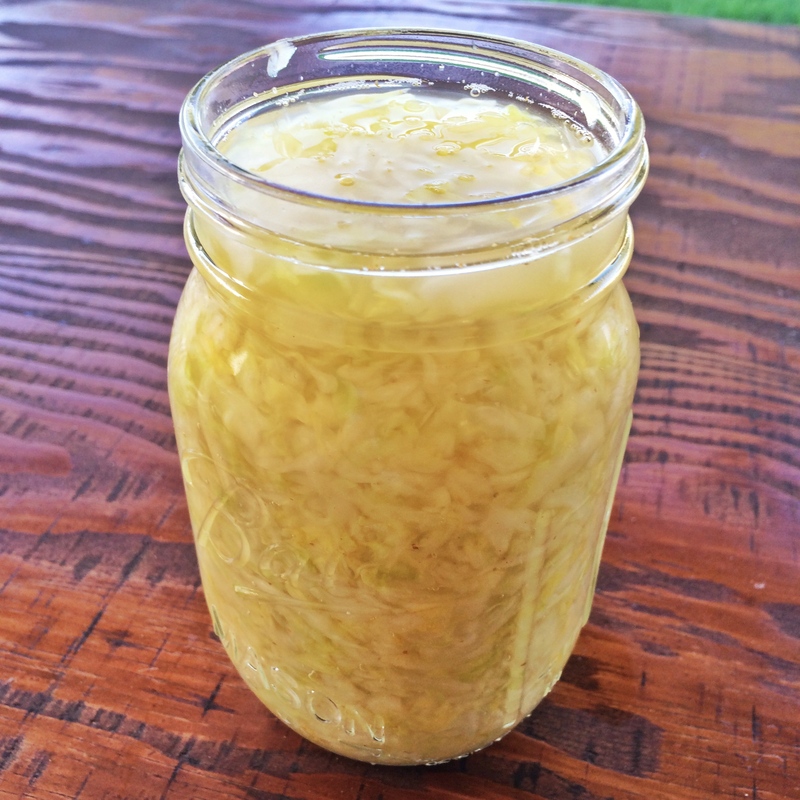 I also made some homemade sauerkraut, which was a simpler process than I had imagined. 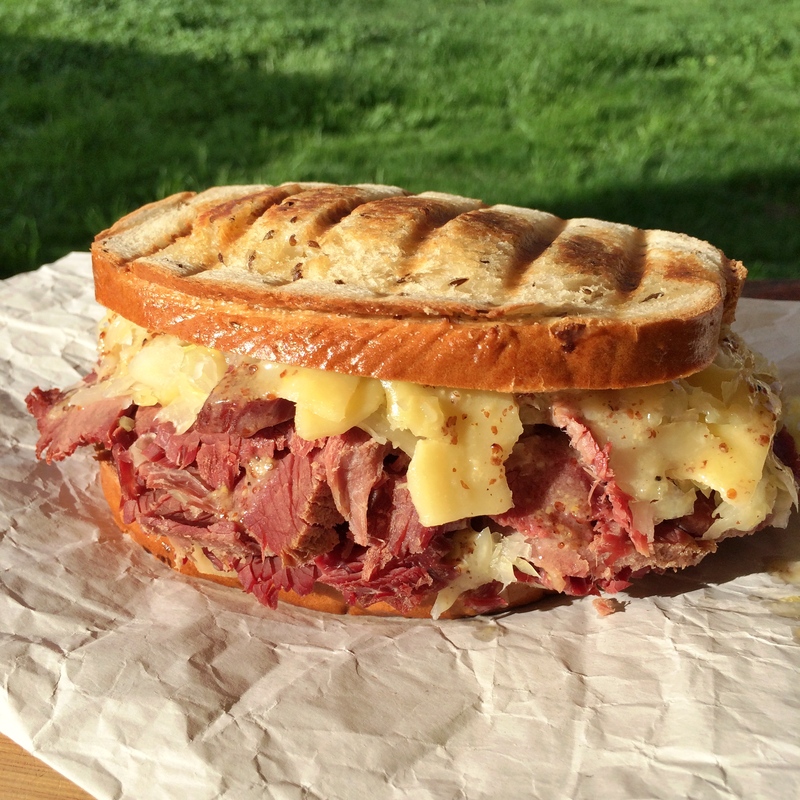 The addition of the Irish cheese and an adaptation of a more traditional Irish dressing sways this meal closer to the Emerald Isle rather than Katz Deli, in NYC. 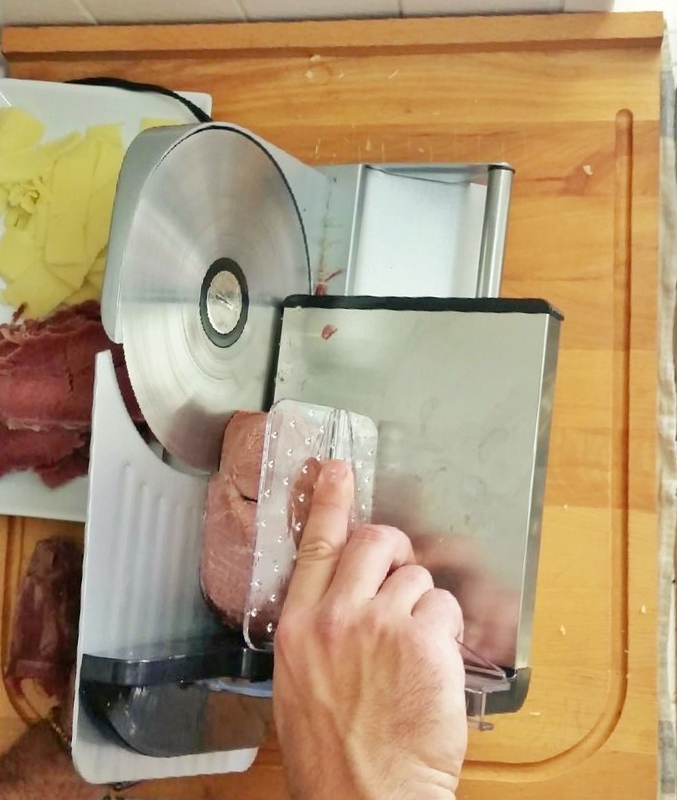 Our newest Partner, Weston Products, was so kind as to provide one of their fine Weston 7 ½ inch Meat Slicers which I put to the test slicing everything from cabbage to corned venison. I have used several different types of meat slicers both in the restaurant and at home. This piece of equipment is essential to any serious home cook who wants precision cuts that can only come from quality equipment. More on this product later. Now on to the recipe! This recipe takes a couple of days’ worth of preparation so if you start now you can have everything ready for your St. Patrick’s Day celebrations. The corning process takes 4-5 days so you will want to start that amount of time out from the day you plan to cook your meal. If you have a roast that is closer to 6 lbs then I would brine for 5 days. 1. Bring Two quarts of water to heat over a medium flame. Stir in the sugar, Morton’s Tender Quick, Onion, crushed Garlic and spices. 4. Trim off all of the silverskin from the venison roast. 5. Once the liquid has cooled to room temperature, submerge the venison roast in the liquid. 6. Ensure that the entire roast is covered with the liquid. Place a plate or clean item to keep the meat from floating, if needed. 14. Place the Corned Venison on the meat slicer and slice against the grain at a thickness of your choosing. This will take 3 – 5 days of fermenting to make. You can begin tasting it on day three and finish if you are satisfied with the taste. I used a variation of the recipe as provided by the kitchn. 1. Remove a few of the green leaves from the outer part of the cabbage and discard. 6. Continue to squeeze the cabbage for 5 – 7 minutes. You will notice a good amount of liquid in the bottom of the bowl. 7. Carefully spoon the cabbage and the liquid into the mason jar. 11. Check every day to make sure the cabbage is submerged. If not, then push it down in the liquid. 12. Begin tasting on the third day. If the taste is pleasing then remove cloth, close container with a lid, and refrigerate. Some meat slicers on the market have more of an industrial look which you may not want to display in public. The Weston meat slicer is very sleek in its design with the composition consisting of a combination of plastic and metal, the latter being the major component. Most of the surfaces that will touch your food are metal which will make sanitization and cleaning easier. The power switch is located on the front of the machine and is placed inside of a cutout. This is great because you don’t have to worry about bumping the switch off while cutting. The blade adjusting knob is located behind the slicer platform and allows for quick adjustments with your left hand while your right hand is on the slicer platform. The slicer is very functional. The slicer comes standard with the non-serrated blade. I was also provided the serrated blade to test. I sliced the cabbage, corned venison, bread, and cheese with both blades and found out that the serrated blade works better with the cheese and bread while the non-serrated blade works well with the meat and veggies. The blades were very easy to change out using a quarter to unscrew the bolt. This slicers sports a 200 watt motor while many other similarly sized slicers seem to only come in the 120 – 150 watt range. This translates into more power for ease of slicing. Also, the adjustable knob on the back will allow you to slice to a thickness from deli thin to over ½”. Another great feature is the suction cups on the bottom of the slicer. Anyone who has spent time using a slicer will know that there is nothing more aggravating than having a machine slide as you push. Upon firing the slicer up you will hear the gentle purr of the motor as it turns the blade. There are no oddities in its sound. I used it while my two year old daughter was napping down the hall and she didn’t even budge. The blade spins evenly and easily slices a variety of products while the food tray guides smoothly along the railing. I was able to slice meat in a matter of seconds. One of my favorite features is the food pusher, which has teeth for holding your food in place. In addition to the teeth, it its notched to fit on railing of the food tray so that you can smoothly push the food forward without fear of cutting into the plastic teeth. I feel that cleaning is one of the tasks that are sometimes overlooked with kitchen equipment but play a main role in food safety and longevity. With that said, I found this slicer extremely easy to disassemble and clean. The food pusher and blade you can wash with soap and water just like normal dishes. The body of the slicer is quickly wiped down using water and a mild detergent combination. 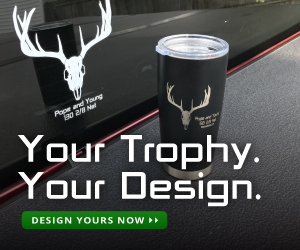 The sleek finish makes it so that no food easily stick to the surface. I followed the recipe to make my own corned venison. It wasn’t bad. I think my cut of meat was a little too small. It was a little salty and dry. But still made good sandwiches. Thank you for the comment. It is great to see a response to the recipe. I may suggest briefly boiling the the venison once or twice after you remove and wash off the brine. That should reduce the potentially salty flavor. In regards to the dryness, the venison could also be prepared in a crock pot instead of the oven.